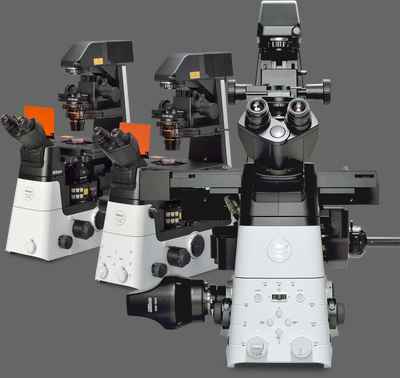 CSU-W1 | CSU Series | Confocal Microscopes | Products | Nikon Instruments Inc. Features a wider field of view and higher image quality than previous models. A new pinhole design significantly reduces pinhole crosstalk, which is particularly important with thicker specimens. Maximum intensity projections of Z stacks acquired with the CSU-W1 at low magnification (20x 0.75NA), using the 50um and 25um pinhole sizes. Particularly with CMOS cameras with larger pixel sizes, the 25um pinholes provide exceptional contrast and a better match to the low magnification objective lens. Acquired with Photometrics Prime 95B CMOS camera. 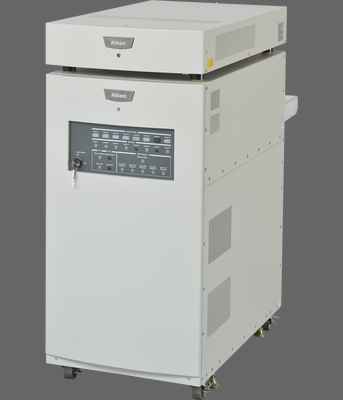 The field of view of the CSU-W1 is nearly 4 times that of the CSU-X1, making it ideal for large area scanning applications and low magnification imaging of large specimens. This large field of view is a perfect match for large format sensors. Overlay of the pinhole array and arrangement of the CSU-X1 (magenta) compared to the CSU-W1 (Yellow), illustrating the field-of-view and pinhole spacing of the two devices. Images were captured using a 4.2 megapixel CMOS camera at 20x. The CSU-W1 can be configured with one or two pinhole-sizes (50um, 25um, or both disks) to cover a wider range of objective magnifications. 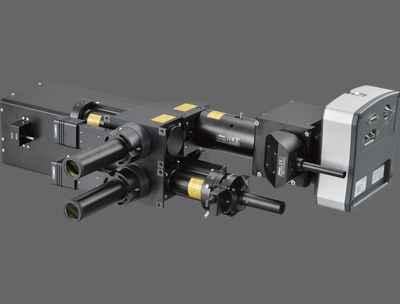 The 25um pinhole size allows imaging of lower magnifications and larger fields of view than ever before, for confocal imaging of larger specimens. 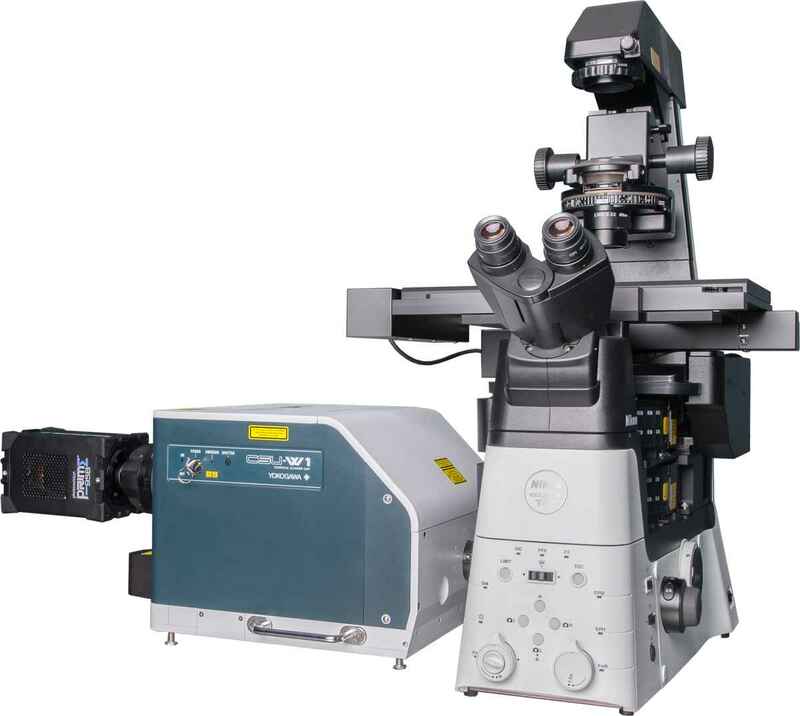 CSU-W1 can be configured with two cameras for applications requiring simultaneous two channel emission, or for users who want to have two different types of cameras (for example, EMCCD and sCMOS) for different imaging applications. CSU-W1 can be configured with a motorized relay lens for magnification switching, allowing users to change magnification to the detector without changing the microscope’s objective lens.